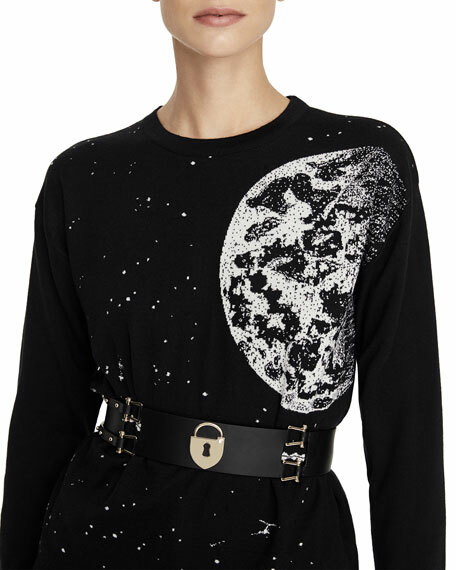 Schiaparelli belt in black calfskin with gold-plated brass padlock detail and four gold-plated links. Fastens with six gold-plated appliqué buttons on the right side. For in-store inquiries, use sku #2859500.